It was a long time in the making, but we finally got our hands, eyes and ears on the PlayStation VR in 2016. While not quite as powerful as some of its rivals, it's less expensive, can run from your existing PS4, and is a whole lot of fun to use once you're up and running. The next question is how will Sony develop its VR accessory in the future? We've already seen a PS4 update in the form of the PlayStation 4 Pro, so a PlayStation VR 2 might not be too far behind. Here's everything we've heard about the next-gen VR headset so far. The (short) history of PlayStation VR might give us some clues about where Sony is heading in the future - remember the days when the headset was known as Project Morpheus? 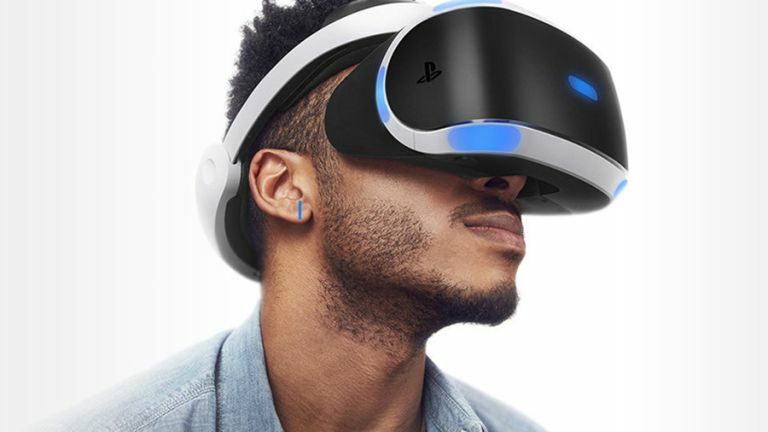 Development on Morpheus (or the PlayStation VR) began as far back as 2011 according to Sony engineers, but as the VR teams at Samsung, Oculus and HTC also found, it's only in the last couple of years that the technology has caught up with the VR hardware vision. Project Morpheus was official announced as a real bit of kit at the Game Developers Conference in March 2014. It actually looked very much like it does today, and we walked away from our hands-on very impressed with the prototype. It would be another two-and-a-half years before the PlayStation VR would go on sale, having changed its name along the way - the official launch date was the 13th of October 2016, with prices starting at £349/$399. What does this tell us about the PlayStation VR 2? Perhaps not much - but the PS VR's long gestation period might suggest a refresh cycle that isn't all that short. As far as VR goes, it would appear Sony is keen to get everything right rather than rush out a product. Sony is staying tight-lipped about how many PlayStation VR unit it has sold so far, although analysts don't seem particularly optimistic about its impact on the market. Of course, the choice of games is only going to get better. If 2016 was the year when virtual reality broke through into the consumer market, then 2017 is the year when it has to prove its staying power. In other words, the manufacturers have proved they can actually get this hardware together in a form that works and at a price that's affordable - but will anyone actually want to buy any of it? Consumer demand and sales figures are likely to have some influence on when we can expect to see the PlayStation 2 arrive - if no one wants to buy the first incarnation then Sony is likely to take longer over the second one to make sure it is a hit. We've only got one PS VR launch to go off, so predicting when a second might arrive is tricky. We certainly wouldn't expect it in 2017 or even necessarily in 2018. A lot might depend on when the PlayStation 5 appears, but Sony's next-generation console is slated for a 2020 launch, so that's quite a while to wait. Ultimately, Sony will upgrade its PS VR headset when it needs to - and considering the PlayStation VR works fine with both the PlayStation 4 and the PS4 Pro, there's no pressing need to bring out a version 2.0 until the other hardware gets an upgrade. The bad news is we might not see a PS VR 2 for a few years yet. The good news is that it should be a lot more powerful when it finally does arrive. Right now you need a separate PS VR processing unit between the headset and your console, but this is likely to get ditched the second time around - the PS5 should have enough raw power to drive VR on its own. Whether or not Sony would make the PS VR 2 compatible with older consoles isn't clear. Then of course we can expect the usual hardware upgrades - a higher-quality resolution display, more advanced graphics and audio capabilities, and a more immersive experience. The PS VR has a 5.7-inch, 960 x 1,080 OLED display for each eye, which doesn't match up too favourably with the 1,080 x 1,200 resolution of the Oculus Rift. The other area where the likes of the Oculus Rift and the HTC Vive are way out in front is with controllers. The PlayStation VR makes use of the traditional Move Motion Controllers, which don't always work perfectly in a VR space, and we'd expect some new, dedicated VR controllers to appear second time around. Better hardware, better controllers... and perhaps wireless connectivity. This is something HTC and Oculus are looking at too, and it would free you from being chained to your console. By the time the PlayStation VR 2 appears, the technology should be advanced enough to allow for a cable-free experience. The headset will undoubtedly be lighter and more comfortable too, as Sony works out how to cram improved hardware into a smaller space. Whatever your thoughts on the PS VR 1, the PS VR 2 should be well worth waiting for.